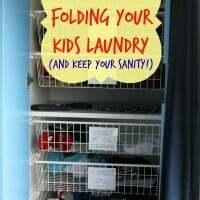 Laundry is never-ending and these are laundry hacks every mom MUST know! I’ll show you how to get wrinkles out of clothes fast, how to make your own reusable dryer sheets and more! Want to save time and money doing laundry? I’ll show you how. I do laundry every day. With six of us in this house, it is a never-ending pile that never goes away. I’ve come up with some go-to laundry hacks that I couldn’t live without and I want to share them with you to make laundry day (is there ever not a laundry day?) easier in your home too! 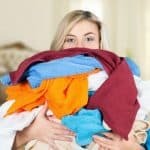 Here are some of my favorite ways to save time and/or money on laundry tasks. Hint* anything that saves me time is a win in my book! One tip another mom shared with me awhile back is to make your own reusable dryer sheets and stop tossing dryer sheets after every load. These DIY reusable dryer sheets are super simple to make and they will leave your clothes smelling amazing. 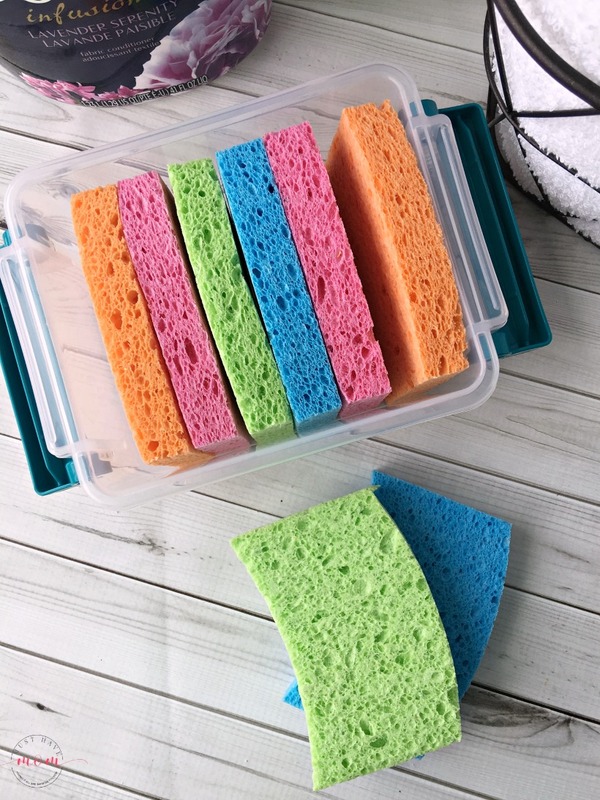 To make the DIY reusable dryer sheets you’ll need a plastic container with a lid, basic sponges, your favorite Downy fabric softener and water. 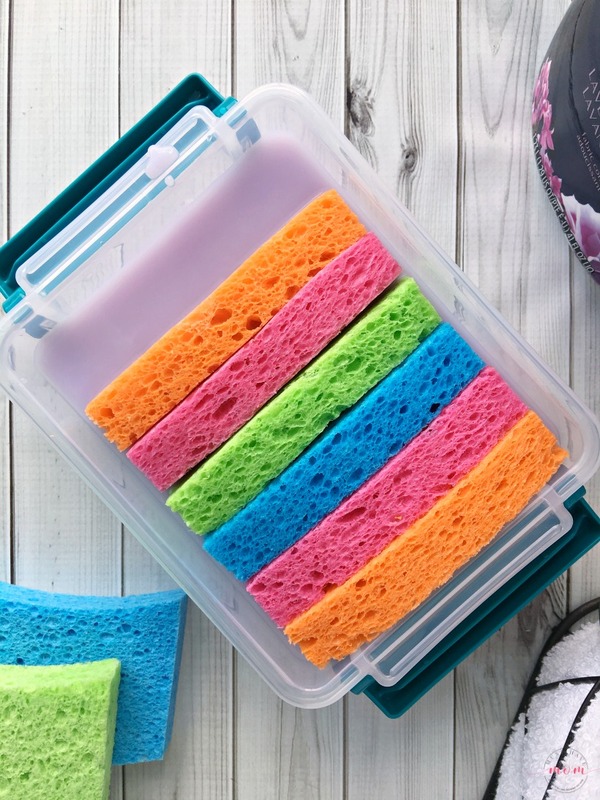 Make sure the sponges fit in your plastic container. Place them inside. Mix together 2 cups of water and 1 cup of Downy fabric softener (I use lavender serenity scent). Pour the mixture over your sponges. Allow the sponges to soak up the solution. 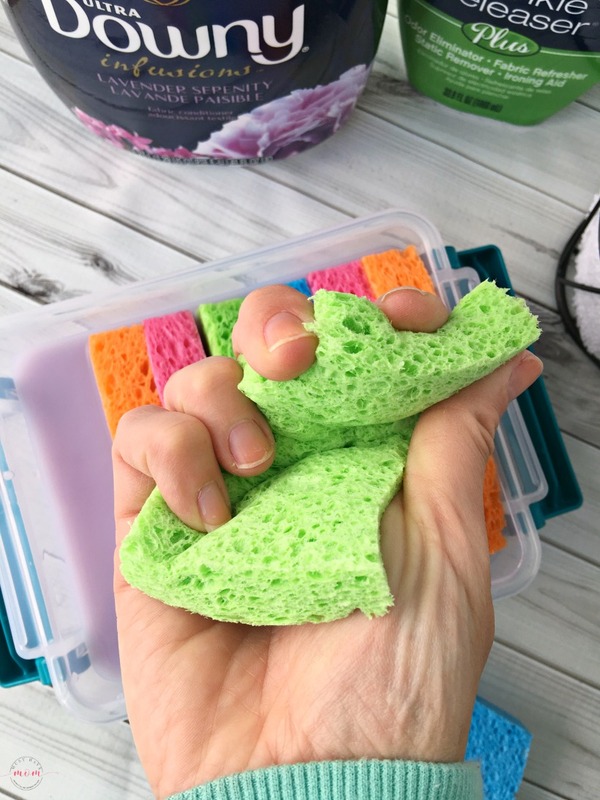 When you are ready to use them simply remove a sponge, squeeze out the excess liquid and toss it in the dryer with your wet clothes. Run the dryer cycle as usual. Once the dryer cycle is complete place the dry sponge back in the container of solution to be used again. When you start running low on the solution just mix up another batch and add it to the container. These are endless dryer sheets at a fraction of the cost of dryer sheets! Score a win for mom. The reusable dryer sheets will have your sheets smelling fresh and static-free, but occasionally I’ll get some pieces that are still staticky after they finish in the dryer. For this I use Downy Wrinkle Releaser Plus. It works especially good for those fabrics that tend to retain static (like plush blankets). Just spray it on and let it dry (it’s super fast). That brings me to my most dreaded activity, ironing! Who irons anymore? Do people actually iron still? My mom irons. I do not iron. I end up ironing more wrinkles IN to the clothes than I get OUT of the clothes! That is why this is my favorite laundry hack! Skip ironing and instead, spray your clothes with Downy Wrinkle Releaser Plus! Just spray whatever item you need to remove wrinkles from, tug and smooth the fabric and hang to dry. It dries really quickly and the spray nozzle covers a large area making it easy to quickly remove wrinkles from your clothes. You’ll end up with a wrinkle-free item that looks a million times better than anything I’ve tried to iron! 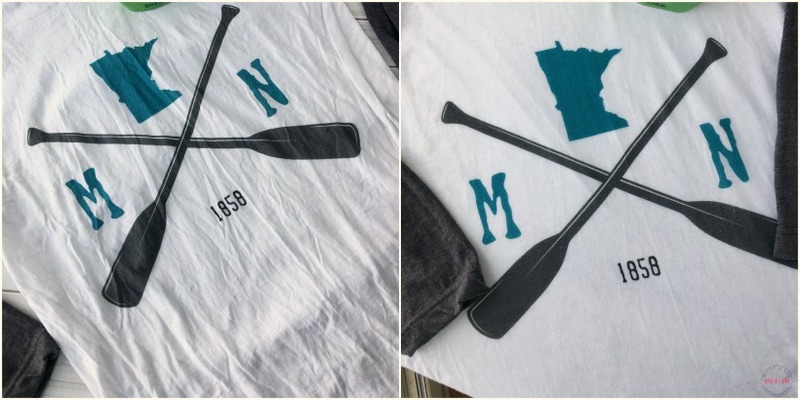 See my awesome before and after on my Minnesota Paddles raglan tee above? That took me five minutes total, with only 30 seconds spent doing anything and the rest of the time spent allowing it to dry. Pretty amazing right? Downy Wrinkle Releaser Plus works amazingly well for getting wrinkles out of clothes fast! 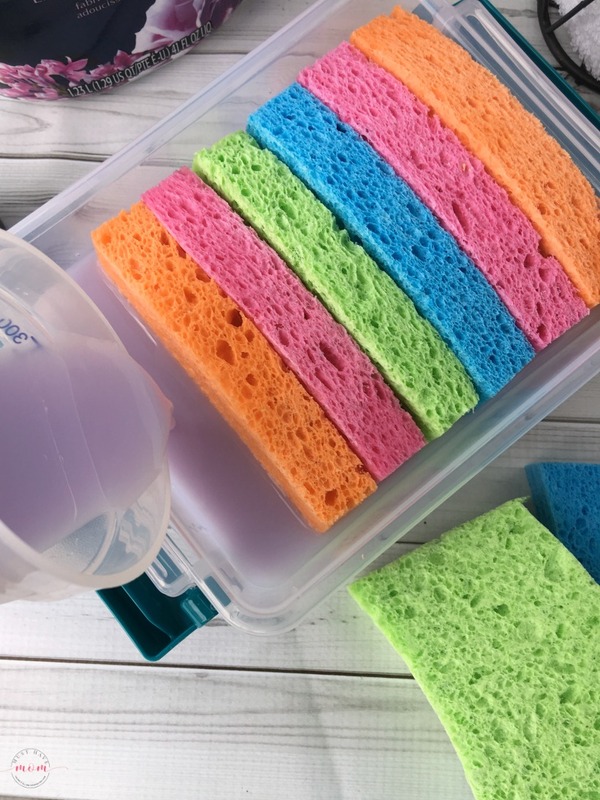 It can also be used as a laundry hack for freshening up items that have been sitting in your closet for a long time or eliminating odors on clothes. I also keep a travel size on hand for all my wrinkled clothes that come out of my suitcase when I travel! It’s the best laundry hack ever! 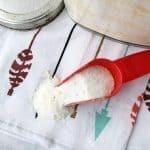 To save money on laundry detergent you can make your own for about $30 for a year supply! My recipe: Laundry detergent recipe. Add some Downy Unstoppables fabric softener to it to make it smell amazing! Use a lingerie bag to put all of your socks into so you never lose another mate! Where do all those socks go anyway? Use hairspray to remove ink stains on clothing. Stop folding laundry with this genius laundry system. My biggest laundry hack that really saves me the most time is to wash each family member’s clothing in their own load to save yourself from separating out every single load you wash. With 3 boys in sizes that are very close to each other, I was having to check the size tag on each piece of clothing and it took forever! 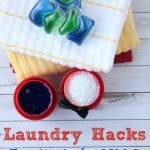 This simple laundry hack saves me a ton of time! Do you have laundry hacks that save you time or money? Share them with me in the comments! Since I love saving you time and money when it comes to the dreaded laundry chores, I’ve got Downy coupons and offers for you to save even more money with! 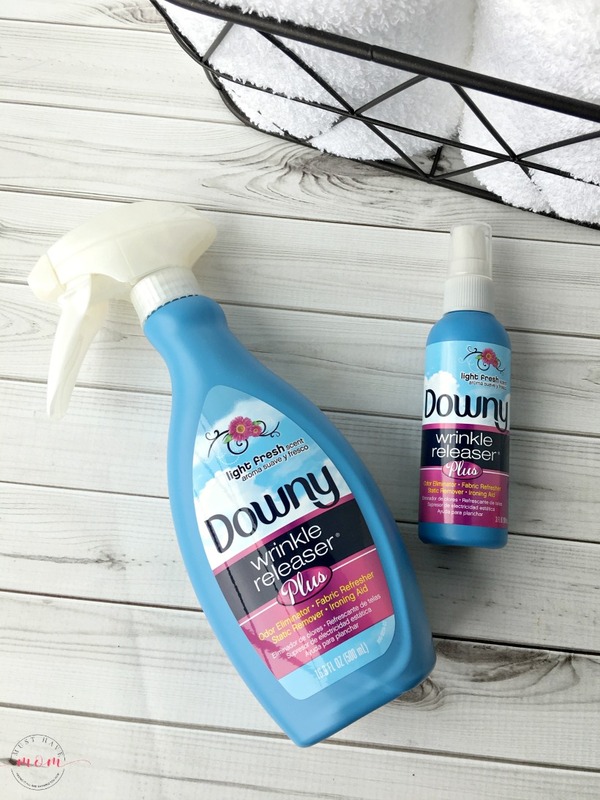 You can find a store that carries Downy Wrinkle Releaser Plus near you and stock up on my favorite laundry hack! Trust me, you’ll toss your iron once you try it! Oh my gosh I’m totally doing this! I have to buy fabric softener to at least once a month and I hate doing it. I am going to try this hack and I hope it works really well so that I can see a lot more money. What great ideas! we use Downey all of the time at my house! Can’t live without it! Extremely UNSAFE to do. Those sponges can come apart and clog the vent holes. Not a good tip on that one at all. 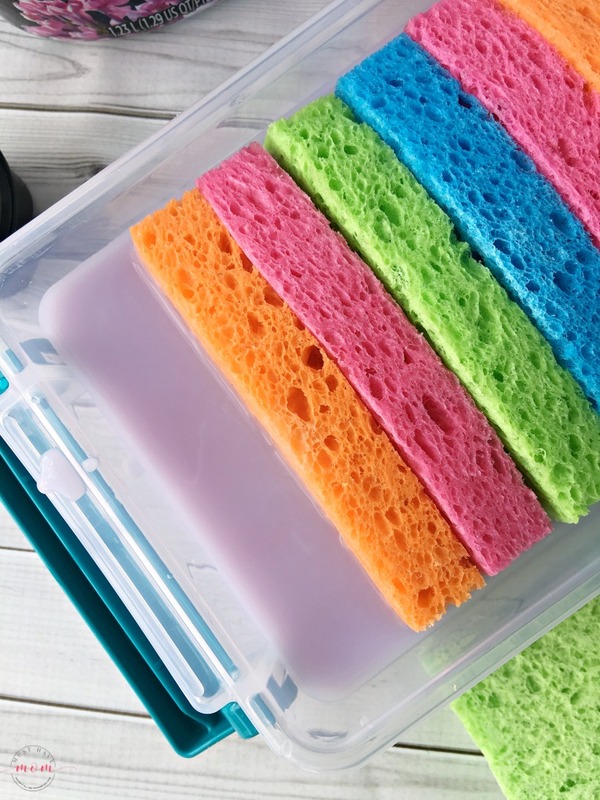 You’re better off to make your own fabric softener cloths…don’t use the sponges! What would you use for cloth? Those reusable dryer sheets are BRILLIANT. I am so making myself some of those. These are all great laundry tips. Ironing takes up so much time. I will need to pick up some Downy Wrinkler Releaser Plus to have on hand. What a cool hack. I have never tried this because one time I did a hack I stained my clothes from the oils. I will have to give it another shot. I need to do this! What an awesome hack. I could also use that wrinkle product. Looks like it works great. I’m loving the sponge fabric softener trick. I’ll have to try that. I do love that wrinkle releaser too. I am willing to try anything that helps make doing the laundry easier. I am excited to make some reusable dryer sheets. I will have to pick up some sponges this week. I’m loving the dryer sheet hack!! But I’m curious,how do you keep all their laundry separate before washing? I don’t think we have the space for each of my kids to have their own basket – but I am kind of loving the idea, if I can figure out how to make it work. Sooo much laundry to do! I use Downy wrinkle release almost every day- I have the perfect little purse sized bottle that works wonders on travel and on the go. This is such a brilliant idea! How have I not been doing this already!? I love my Downy Wrinkle spray, especially when I go on trips and my clothes get wrinkled in the luggage! Best thing ever! Great laundry hacks. Love to safe money and reuse things so this is great. Thanks for the suggestions. I do laundry every day also. I don’t know a mom who doesn’t. These hacks will be help make the chore easier and less expensive! these are great tips. i hate doing laundry. i’m saving this for later. i love these tips, and I will have to try a few of these.